We’ve been using apps from 123 Kids Fun for a while now, and this app follows in the same footsteps. It’s easy to use, educational, and is ad free. 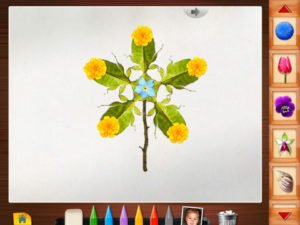 It also inspires creativity which is one of the features that we really enjoyed about this app. The kids were able to create a design in the app and then replicate it in real life. The image above shows a play dough caterpillar with match stick legs and a googly eye. 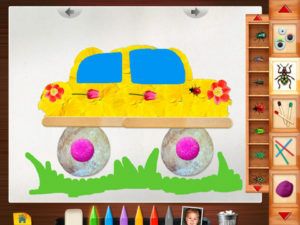 It’s an image that the children can create in the app and then make with their real play dough. I particularly like the fact that both my 2 and 4 year old enjoyed this app, and even older children would benefit from it. 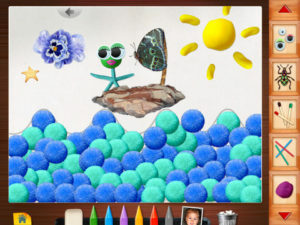 There is hours of fun to be had creating the different pictures and playing the different game modes. Our favorite activity was taking pictures of ourselves (and the dog, the cat and almost all of our toys!) and making them part of the picture. 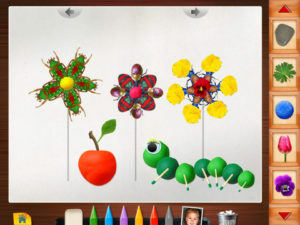 Some of the items you can create with include play dough, flowers, shells, sticks, butterflies and bugs. It’s a great opportunity to let your child get creative. I found that my toddler was easily able to click on the items and create their own picture with limited help required. Once you have created an image you can save it and re-edit later which is a great feature. You can find out more by watching the demonstration video below. 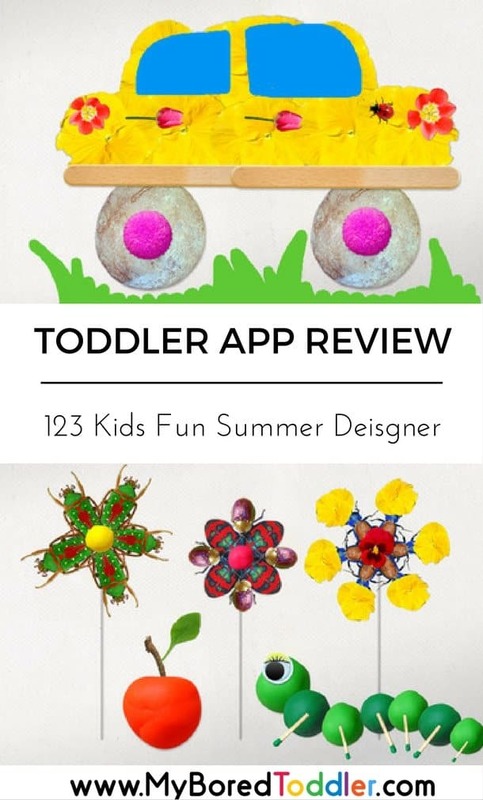 If you are looking for a great toddler app then 123 Kids Fun Summer Designer is one that I definitely recommend. It’s only 99c and well worth the money. You can download it now from iTunes or Google Play.